Pine is LIVE on Kickstarter! 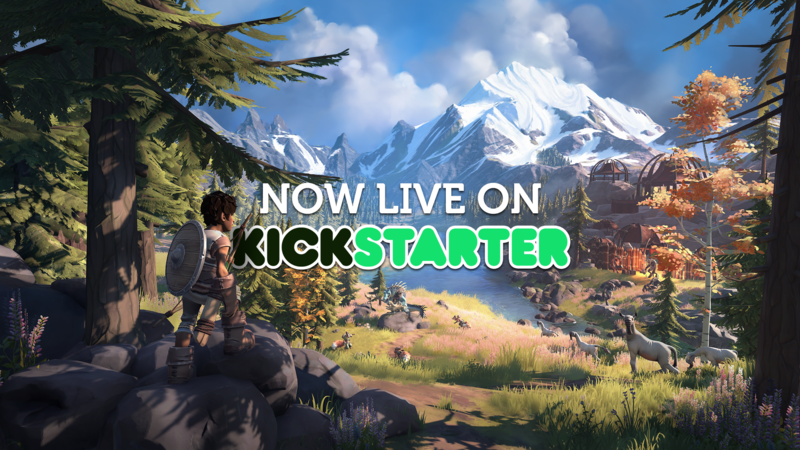 After 7 months of preparation, we are enormously proud to say that Pine now actually LIVE on Kickstarter! The page features TONS of new gameplay content, both in the pitch video and in the information. Go check it out, and tell us what you think! If we can reach 100k in 34 days, Pine's future is sealed. Thanks to everyone who helped us get here so far! This is it - the official Pine announcement trailer! After months of work, we're incredibly excited to show a ton of new footage, including new species, weapons and gameplay mechanics. It's still early in development, but we're going to Kickstarter to engage with a larger community to help us make the best game we can with our small and modest team. What a day it has been - we've been hitting near-top-100 on Greenlight within 24 hours, and were on top of r/games on Reddit all day. The YouTube, Facebook and Twitter views combined are hitting over 40k and we get great comments everywhere. We've seen and gotten a lot of good feedback, which we all appreciate, and we're working hard on the things that are bothering people in the trailer. We have great confidence in our game, and we hope the trailer gives you a glimpse of the adventurous feeling it's already giving us behind the scenes. Lastly, we're working hard on another progress video - the trailer has been made completely iteratively, so we're excited to show you all how it progressed for us in about 3 months. A nice in-depth interview on Pine with OnlySinglePlayer. The core ideas and general direction for the future are discussed! We also got the chance to talk about managing expectations and explain how we use the adaptation, as we've noticed some people think we have a fully, procedurally evolving ecosystem - which is not the case. We've been cross-posting the Pine blog on the MadeWithUnity website! This is the latest entry, which is slightly adapted to their website format. The MadeWithUnity team is ever so kind to share all of our posts and hopefully the blogs are at least a bit helpful to aspiring developers. Our current focus is heavily on making that demo better than ever. We want the adaptation to be more obvious and slightly deepen the combat with a few extra moves. The interesting part here is that it still remains a tech-demo: it does not outline the full game in any way. This demo is extremely linear and we encourage players to fight everything along the way, which is different from the more open approach we are bound to take with Pine later. The demo will go out to all 2100 registered testers, and once we get all the feedback we'll polish the demo up even more - which we then use to make our future dreams a reality. We're talking with a few interested parties and some really interesting opportunities are arising! For this, we're completely fleshing out the game in terms of scope, story and mechanics, and we're getting some amazing new ideas in doing so. On top of that, we'll be moving into an office starting in August: finally we'll be in the same room! Pictures soon.